Molly M. Jones, Assistant General Counsel, Litigation, Bayer U.S.
J.Y. is a thought leader in developing innovative approaches to solve his clients' most complex business problems in matters of toxic tort and product liability litigation. J.Y. has extensive experience as national and regional coordinating counsel, building and leading large teams to achieve their clients’ business objectives in the most efficient manner possible. He has directed and managed the defense of thousands of toxic tort cases in the most challenging jurisdictions in the country. Work on such a massive scale requires masterful people management, communication skills, training, technology integration and a keen understanding of legal project management. His robust methodology for handling product liability and premises liability cases enables his clients to accomplish business goals, control costs and minimize risk. His deep understanding of scientific, medical and state-of-the art issues enables J.Y. to construct and present comprehensive and compelling defenses to personal injury cases involving exposure to asbestos, benzene and solvents. 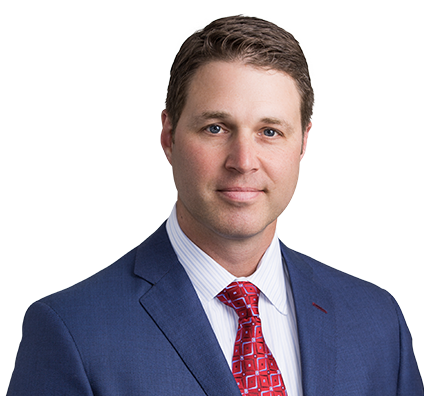 He has also defended product liability claims involving industrial tools, construction equipment and consumer products throughout his 20+ year career. J.Y. serves on the Firm’s Executive Board and led the Firm’s most recent strategic planning process. Before joining the Firm, J.Y. served five years on active duty in the U.S. Army Judge Advocate General’s Corps. As a prosecutor and, later, as criminal defense counsel, J.Y. developed his trial advocacy skills by bringing numerous cases to verdict while stationed in Texas, Saudi Arabia, Georgia and Bosnia. Led and managed all aspects of national toxic tort litigation defense team and designed and coordinated defense in hundreds of active asbestos lawsuits for several Fortune 500 companies in some of the toughest and most plaintiff-friendly jurisdictions in the country. Defended against alleged workplace injuries/diseases and alleged injuries/diseases from manufactured products for oil-refining companies, chemical manufacturers, an aluminum sheet manufacturer, a building products manufacturer, a tool and equipment manufacturer, a shoe manufacturer and paints and coatings manufacturers. Implemented national strategy to build comprehensive good company story and present defense in product litigation in numerous jurisdictions. Defended more than 50 benzene/solvent cases around the country alleging various malignancies. Performed independent investigation of products allegedly at issue in fires that caused major damages to commercial businesses. Claims defeated before lawsuits filed. Lead counsel in personal injury action alleging significant pulmonary injuries caused by exposure to cleaning chemicals. Obtained significant settlement as lead plaintiff’s counsel in complex dispute involving contract, property and negligence claims concerning highly technical geotechnical, materials science and structural engineering concepts. Prepared and defended corporate representatives in depositions involving company’s products at issue in national litigation. Worked closely with expert toxicologist to develop testimony to combat attacks on company’s paint and coatings products with favorable results. Prepared high-profile asbestos case for trial and developed client’s corporate representative, expert industrial hygienist and expert materials science engineer for deposition and trial. Prepared significant solvent exposure cancer case for trial, including development of key experts and fact witnesses. Led large joint defense group of oil and chemical companies in significant solvent/benzene exposure case. J.Y. lives life to the fullest with a love for his family, the outdoors, sports, cooking and fine wine. He enjoys all things outdoors, especially fishing and camping with his two boys. J.Y. is an avid sports fan, especially of the St. Louis Cardinals and the Missouri Tigers. At home, he likes to experiment in the kitchen, on the grill and with the smoker. He and his wife enjoy traveling to wine regions and visiting with the owners and makers of boutique wineries. Giving children a positive experience through sports is a passion for J.Y. One of J.Y. 's favorite things is coaching kids, particularly in baseball. As director for the sports baseball and softball programs in his parish, he coaches and coordinates schedules for over 120 kids—and gets to coach his two boys on those teams. J.Y. played baseball and football (and chess) in high school and also played baseball at the University of Tennessee–Martin, so he knows the importance sports can have in a young person's life. Being in the military took J.Y. 's leadership skills to the next level and taught him to have purpose in everything he does. Among the many lessons J.Y. learned in the military were how to lead, manage people and build strong teams. He believes his military experiences have been influential in shaping his law practice. As an attorney, his purpose is to help defend his clients so that they can concentrate on their primary mission and contribute to society. He directs and manages large teams of lawyers and prepares litigation cases as the military trained him—always with servant leadership and a sense of purpose.